 16th International Fungi and Fibre Symphosium is taking place in Marguse Holiday Center, Otepää, Valga County, Estonia. Marguse Holiday Center is situated at just a 15-minute walk from downtown Otepää and 2 km from Otepää Bus Terminal. Otepää is the small town in South-Estonia, well-known winter sports centre in the Baltics and the Winter Capital of Estonia. How to get to Otepää and Marguse Holiday Center? The closest airport to Otepää is Tartu Airport (35 km). Airline Flybe is operating in cooperation with Finnair on route Helsinki – Tartu – Helsinki. From Tartu You can take a bus from Tartu Bus Terminal (Tartu bussijaam) to Otepää. From Tallinn Airport You can take a bus from Tallinn Airport (stop 2) to Otepää via Tartu Bus Terminal. Buy tickets from http://www.luxexpress.eu/en or http://www.tpilet.ee/en?. The busses are driving from Tallinn Bus Terminal via Tallinn Airport to Tartu. You need to change the buses in Tartu. From Riga You can take a bus from Riga Coach Station to Tartu Bus Terminal and then to Otepää. See also luxexpress.eu. You need to change the buses in Tartu. By ship or a ferry You will arrive to Port of Tallinn or Port of Riga. From Tallinn Bus Terminal You can take a bus to Otepää via Tartu Bus Terminal (tickets).